I love the way it’s turning out, but it’s approximately as interesting as knitting garter stitch. 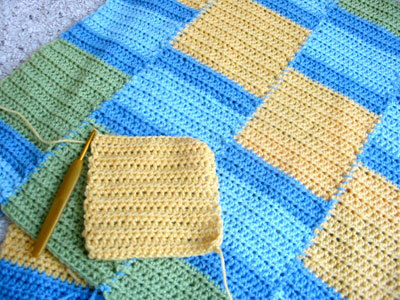 CogKnition posted this on December 11th, 2008 @ 1:05pm in Crochet, Unfinished Objects | Permalink to "Miles and Miles of Half-Double Crochet"
it may be boring, but it looks very pretty! !